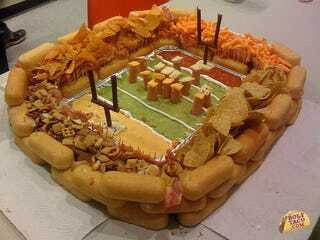 OK, this is quite possibly, as the builders claim, the most excellent snack food stadium ever built. But we still have questions. Such as: Was it publicly or privately financed? Oh, almost forgot the best part. Sausage Blimp.